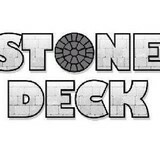 Stone Deck Texas and our team has over 20 years experience in creating outdoor living spaces with the "WOW" factor. We are ICPI certified and recognized by the International Concrete Paver Institute. Our men are craftsmen and take pride in every project, from design conception to implementation. BioScapes is an outdoor living construction company located in Austin, TX. Our services include landscaping, concrete work, stone work, and paver installs to the Central Texas area. Concrete, stone, and paver hardscapes and patios are our specialty. Improve your grounds with BioScapes! We offer a wide range of services, from landscaping and concrete work to masonry. With over 10 years of experience, our crew is ready and able to meet your needs. We place a great emphasis on continuing education and training for all our employees, so as to provide you with the highest level of service possible. 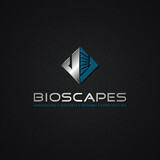 When you do business with BioScapes, you will experience open communication and superior customer service. We communicate via text, email, and phone throughout your project, so that you will end up with the exact results you wanted. Contact us today and discover why we have so many satisfied clients! At BioScapes, our owner is a biologist with a real passion for plants and trees – hence the name. What's more, every member of our crew has at least 10 years of experience in the field. You can rest assured knowing that a qualified team is in charge of your next project. Paver Paradise TX is a family owned company who has a passion for creating and installing patios, sidewalks and decorative retaining walls. I love working with my client to create an outdoor oasis. Ben Roman founded Roman Pools in Georgetown Texas in 2010, after spending several years working as Owner of a Custom Homebuilding Company. Ben began working with a highly talented local freelance pool designer who convinced Ben early on to focus on building pools that are: Beautiful to look at. Easy to maintain. Energy-efficient. And of unquestionable quality. It was Ben who came up with the mantra and company culture that says "Setting Standards Exceeding Expectations" Ben is personally involved in every project, and continues to lead his team to bring delight to homeowners all over Central Texas, while building some of the most spectacular custom swimming pools you will ever see. Ben has been married for Over 20 years and enjoys fishing. Since 2010, Roman Pools has designed and built magnificent custom swimming pools in Georgetown, Round Rock, and Austin that integrate seamlessly with their natural surroundings. Our breathtaking pool designs and extraordinary craftsmanship create an oasis of tranquility. We stake our reputation on fine design, quality craftsmanship and our personal commitment to give YOU, the customer, our absolute best. Our customers' complete satisfaction is our number one priority. We work with you every step of the way to create a unique outdoor environment that is a reflection of your lifestyle. What's more, Roman Pools stands behind every pool we build to ensure total customer satisfaction. If you would like to learn more about our company, learn about building swimming pools, or see more of our beautiful swimming pool designs, please contact us today so we can help make your dream outdoor living ideas a reality! Millennium Travertine is the natural stone industry's leading travertine distributor. We have access to over 5 million square feet of inventory in our distribution centers located throughout the United States. Millennium Travertine offers custom color blends to ensure that your project is breathtakingly unique. Our clients include architects, designers, pool builders, and custom home builders. Our product line includes a wide variety of size, thickness, and color selections, creating endless possibilities for your current and future projects. Just Concrete Floors has over fifteen years of experience in decorative concrete flooring. We create unique rustic and durable concrete floors and finishes that last. We are experienced in executing projects from scratch as well as completing floor makeovers across a myriad of floor types. We offer very competitive prices with a commitment to excellence in Austin and surrounding cities. Welcome Archies Concrete & Polishing Designs specializes in polished concrete, driveways, pool decks, patios, decorative interior floors and walkways and more. We use methods that employ stamped concrete, coloring, coatings, overlays and acid stains. We are experts in resurfacing and recoating both new and damaged concrete. Decorative Concrete is also the perfect way to give your business a professional look. We can place a logo or business name right into the surface of the concrete. An acid stain is also available if you want the concrete to look like marble or stone. Other services include foundations, installation on concrete pavers and landscape borders. Give us a call, we will be glad to set up a convenient appointment time for you at your home or business to give you an estimate. Smitco Concrete Construction Inc. is a trusted contractor in the industry with over 32 years of combined experience. Serving Austin, Texas and surrounding areas, we cater to the needs of home owners, business owners, the municipalities of Austin, Georgetown, Round Rock and San Antonio as well as TxDOT and other state departments. Our services range from foundations, demolition,concrete renovation, parking lots, retaining walls, and residential projects to city sidewalks. We are licensed, bonded as well as insured so that you can depend on us all the more. We specialize in your concrete and cement needs, from home foundation pads to simple patio designs. We pride ourselves on providing exceptional customer service while engineering the best quality. We provide services throughout the great state of Texas, primarily serving Central Texas! We provide special discounts to our military personnel and veterans. We also provide services to disaster centers at a discounted rate and will work in conjunction with any disaster relief program. Government or Non-Government. *Belgard Authorized Contractor* Brick Paving Plus is a family company that specializes in making your back yard beautiful. We strive to exceed all of our customers expectations. With over ten years experience we pride ourselves in providing top quality work and customer service. We understand that your back yard is not just for the dogs anymore, we utilize your space to make a functional outdoor living area. We can handle any size job, commercial and residential. We are Pavestone and Belgard authorized installers. From installing new exterior columns to repairing your chimney, masonry contractors can help you add both visual appeal and value to your property. They’ll know what kind of installation makes the most sense for your Jonestown, TX climate and regional style. Looking for something that will develop a patina with time? Or would you rather have your home feel brand new for years to come? Choosing the right kind of stone involves thinking about the future, too. Experienced brick suppliers and stone suppliers can help you find the material that will work for your home now and for years to come. These professionals aren’t limited to exterior work either. Whether you want a split-stone granite wall in the kitchen or need help installing traditional brick masonry on your fireplace facade, you’ll want a professional to get it right. If you’re already working with an architect or designer, he or she may be able to suggest a good Jonestown, TX subcontractor to help out. Here are some related professionals and vendors to complement the work of stone, pavers & concrete: Landscape Architects & Landscape Designers, Architects & Building Designers, Garden & Landscape Supplies, Driveways & Paving, Siding & Exteriors. Find stone, paver and concrete professionals on Houzz. 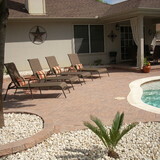 Search the Houzz Professionals section for Jonestown, TX stone, paver and concrete professionals. Browse photos and read reviews, and contact a pro if you like their work.